Frankie definitely racing at Belle Vue tomorrow. 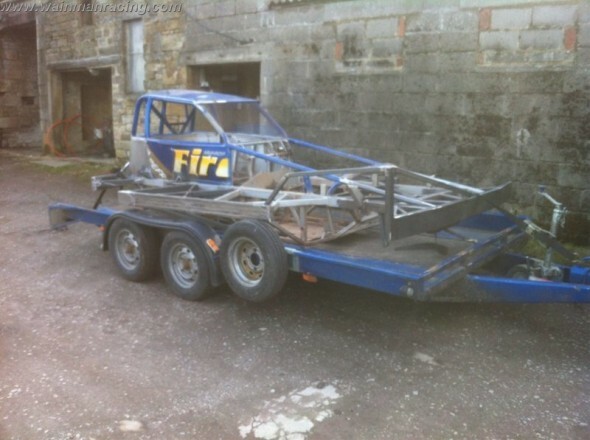 The shale car on it’s way to the paint shop last Sunday evening. I’ve had a lot of people asking if I will be racing at Belle Vue tomorrow, and the answer is that YES I will, even if it means working all night. We’re currently in Derby getting the car lacquered, and we’ve still got a lot of finishing off to do tonight, but we’ll get there!